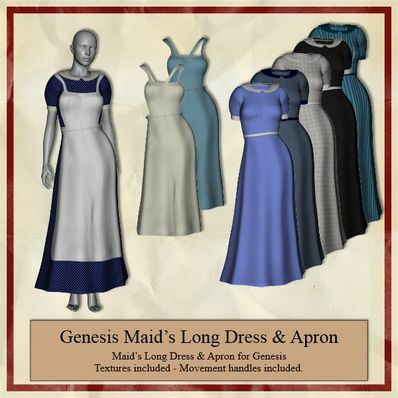 A Maid's Long Dress & Apron for Genesis for use in Daz Studio 4.6. One of the few rare free dresses, who fits even in a medieval scenario. Thx a lot. Wow. Those were the days. I love it. Thank you for sharing your fantastic work. Love, love, love the long dresses!! Some butlers and footmen may be fun too! Love your products!